The early hours of the day are rich with inspiration for designer Adam Neeley. Filled with form and color, dreams have been an important source of creative inspiration throughout his life. Upon waking, these visions are still near enough to capture. In the case of his newest innovation, an alloy called AlbaGold™, dawn was not just it’s timing, but also it’s topic. Adam set out to capture the beauty and warmth of a sunrise, his golden hour of inspiration, in AlbaGold™. 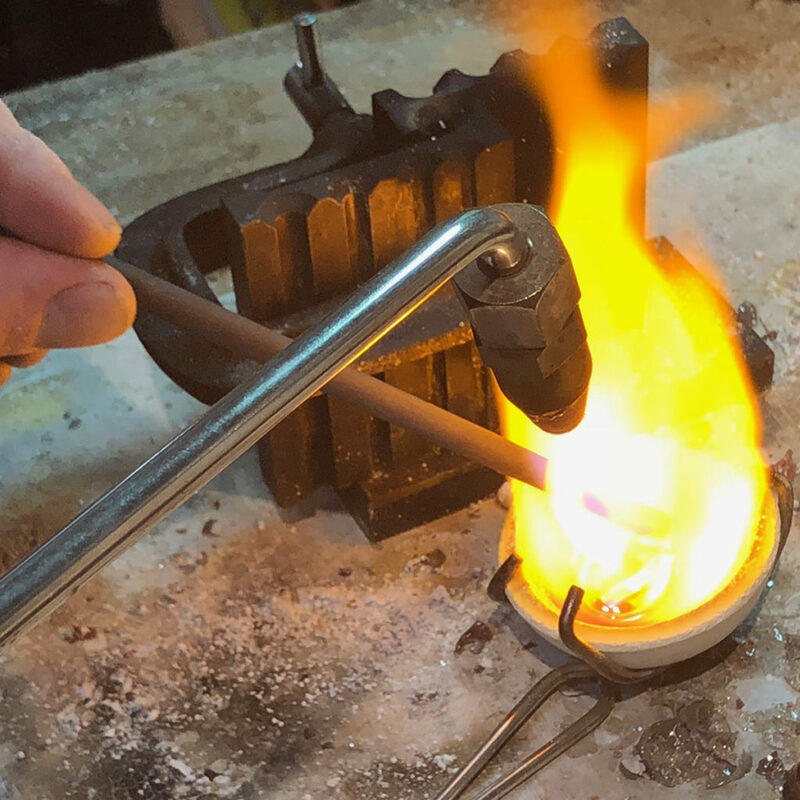 Adam’s professional education began in California at GIA, but a desire to study goldsmithing in the European tradition led him to Le Arti Orafe school in Florence, Italy. 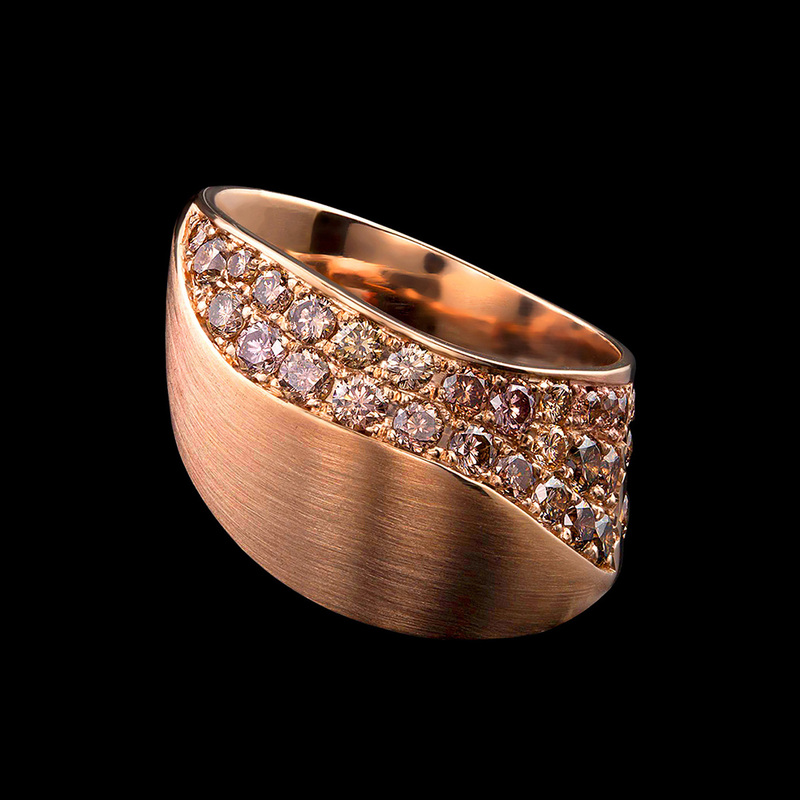 Under the guidance of Gio Carbone, Adam learned a proud tradition of goldsmithing, including custom alloying. Alloying is the process of combining pure gold with other metals. This is done in order to introduce some desired property to the resulting alloy, like color or hardness. From the very beginning, the idea of making gold captured Adam’s imagination. 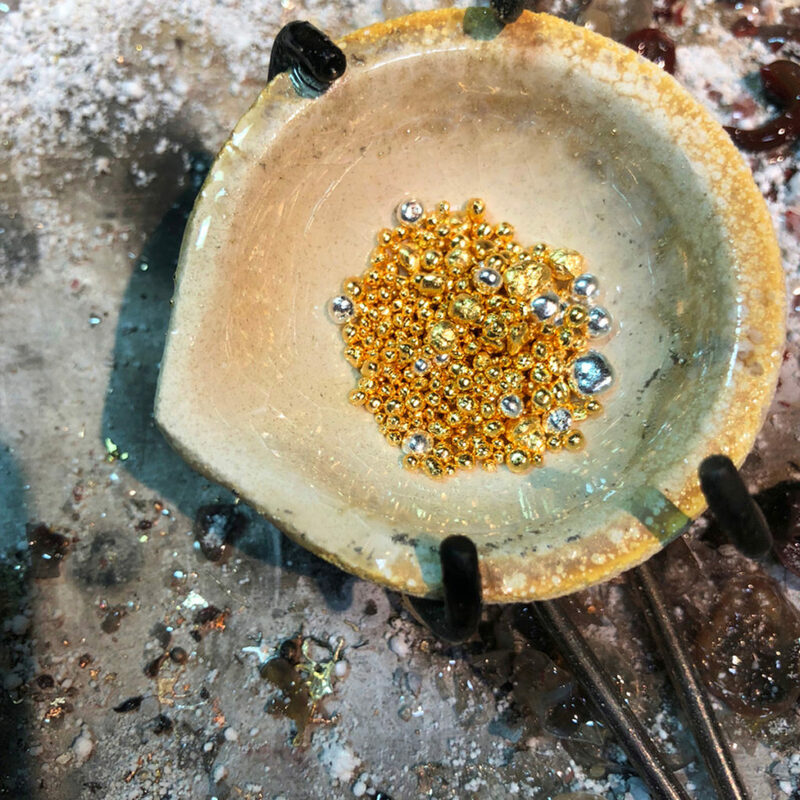 In America, goldsmiths often buy precious metals pre-mixed, but often in Europe the standard is to alloy in one’s own studio. After mastering the fundamentals of standard gold and platinum alloys, Adam continued to experiment and explore the possibilities of new mixes and techniques throughout his career. 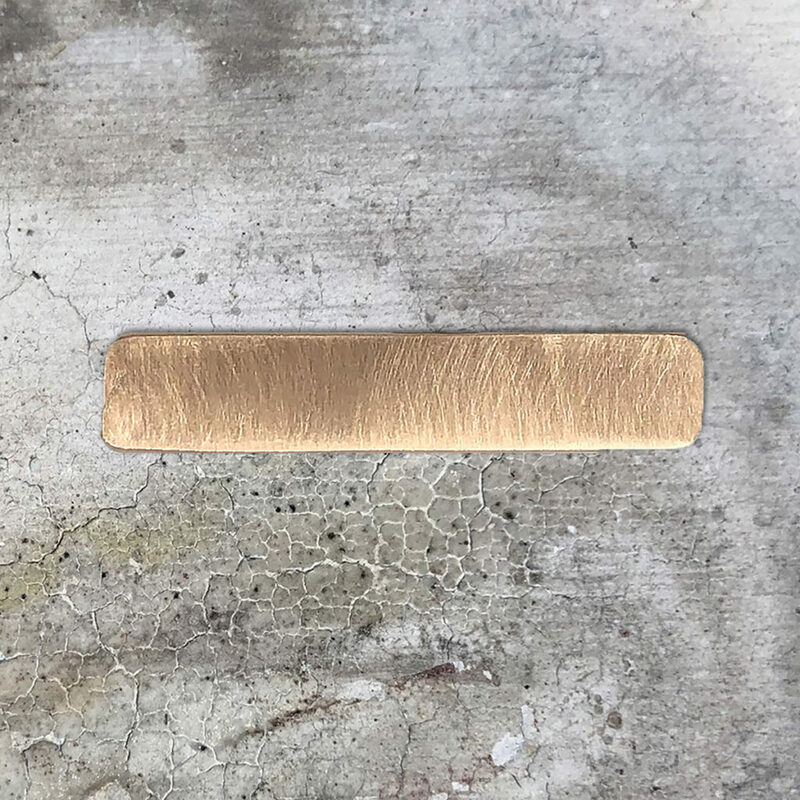 This experience has helped him to understand the properties of different additive metals, insight which proved valuable when he sought to create AlbaGold™. Even so, Adam confesses this alloy took a lot of trial and error to create. 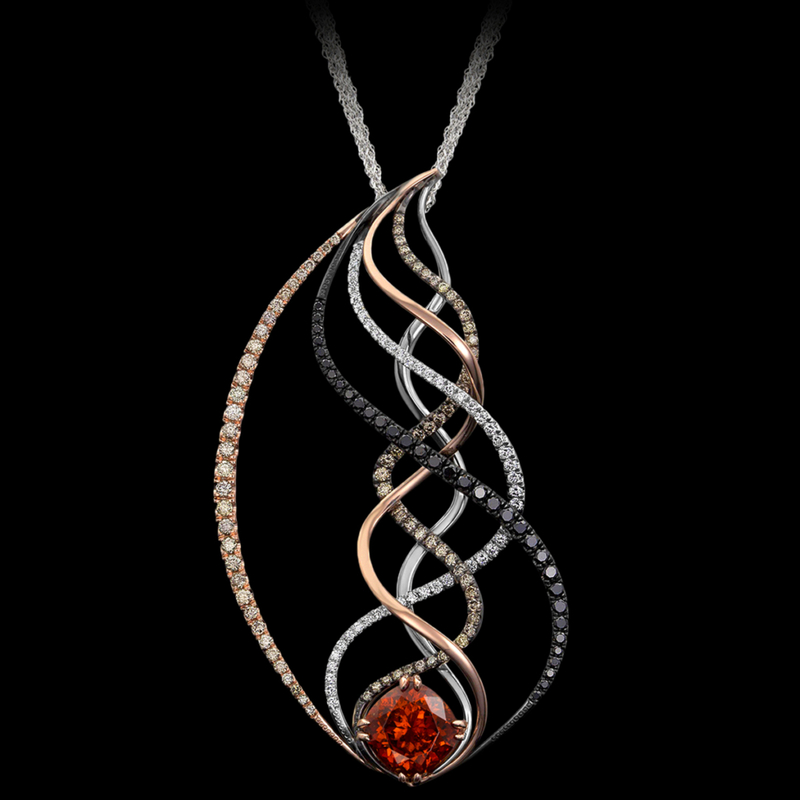 After all, a great jewelry metal needs to be more than simply beautiful in color. It must also be stable, so as not to change color, castable, malleable, bendable, appropriate for forging and able to retain polish. The reward after countless hours at the bench is a fiery new alloy with all of these qualities and a stunning appearance. AlbaGold™ marked a goldsmithing breakthrough, but for Adam, this is just the beginning of the story. 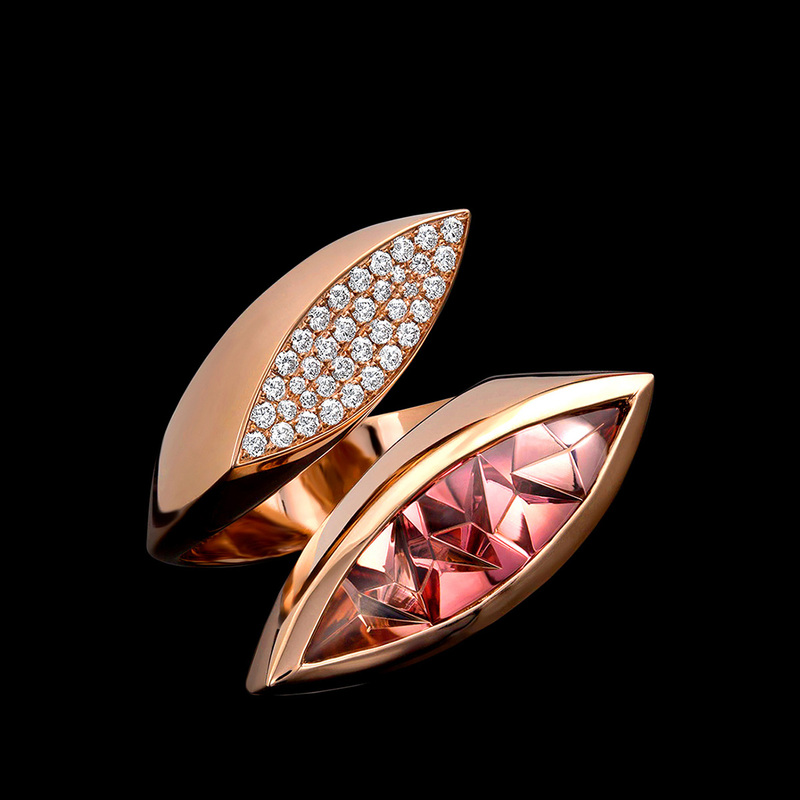 As a designer, applications in jewelry are what truly thrill Adam. Here are a few of the ways he’s thrilled to use the new color of AlbaGold™ alongside colored gems. 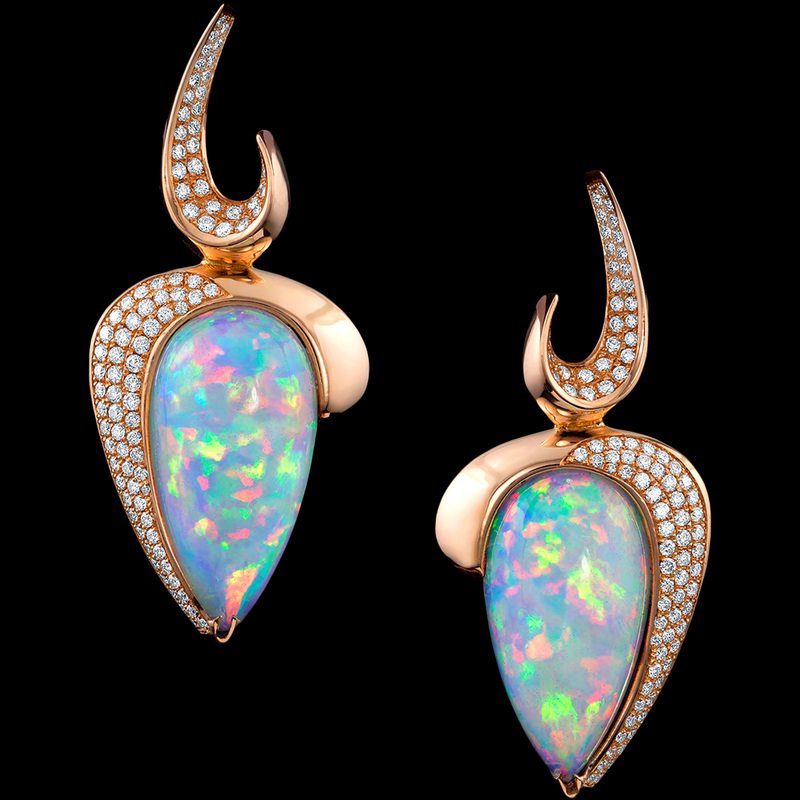 Alongside tourmalines or ametrines, a piece of jewelry evokes the full color array present in the sky at daybreak. 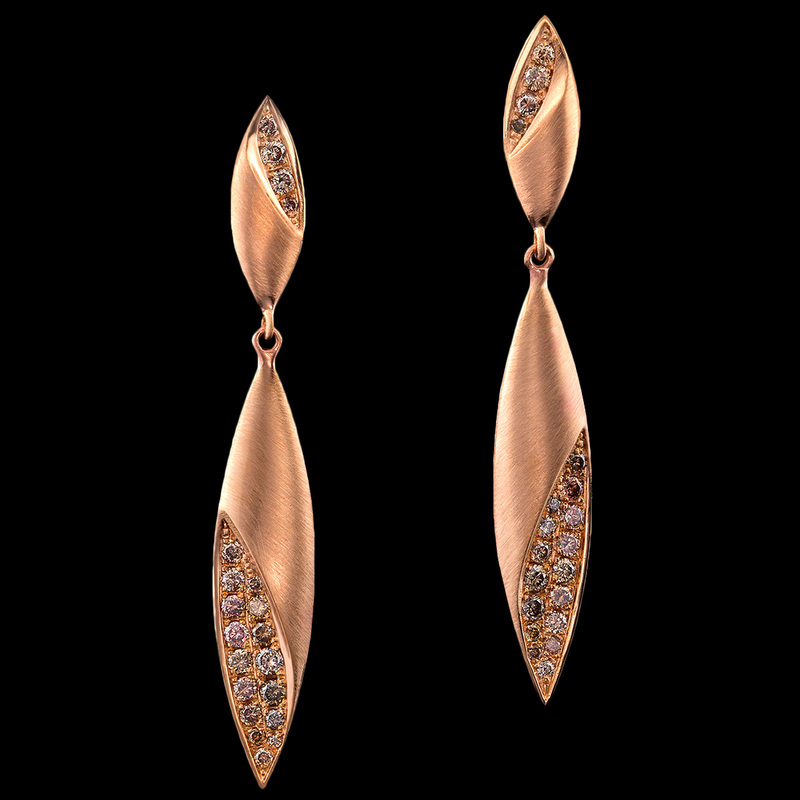 Paired with champagne diamonds, the AlbaGold™ shines bright and fiery. AlbaGold™ intensifies the color of warm colored gemstones for a smoldering result. We hope AlbaGold™ inspires you! At Adam Neeley Fine Art Jewelry, we’re thrilled to offer this alloy exclusively. From signature alloyed metals, to world-class gemstones and award-winning design, we’re committed to creating and sharing singular and exceptional jewelry. Thank you for sharing in our passion! To ask a question about a project featuring AlbaGold™, submit this form and we’ll respond promptly.